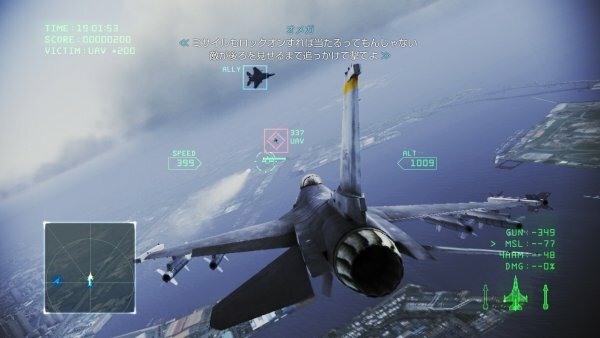 Namco Bandai has released new assets for Ace Combat Infinity, the free-to-play dog-fighting game announced earlier this summer. The new trailer provides a peek at the online cooperative multiplayer that Infinity will offer PS3 players. 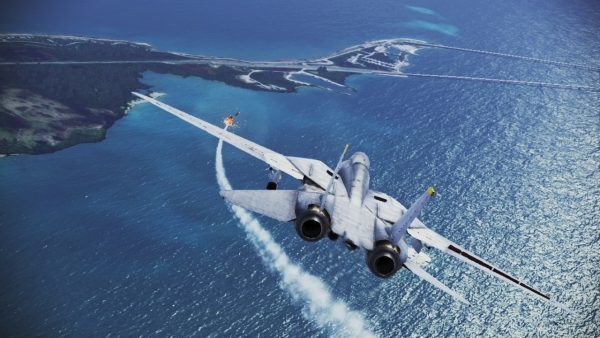 Past Ace Combat games were set in the real world or in a fictional, sci-fi planet of Strangereal. Infinity splits the difference between these realistic and fantastical settings. It depicts an alternate history of Earth in which a meteor struck the world in 1999, causing heavy damage and transforming the geography of the world. The game's single-player campaign begins in 2019 after the outbreak of a global war. The opposing forces in this conflict have very advanced technology at their disposal, including massive aerial fortresses and laser weapons. 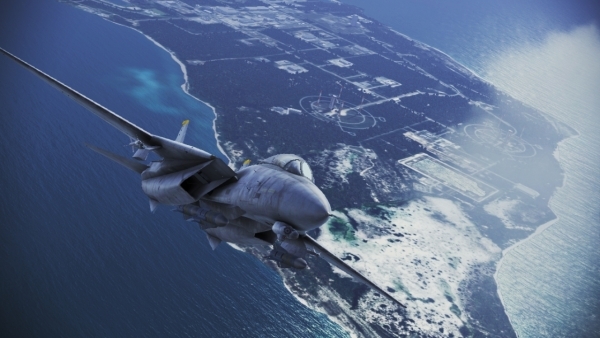 Stonehenge, the railgun network seen in Ace Combat 04, will also make a return. Infinity's cooperative multiplayer has a competitive twist. Players will be sorted into two teams and tasked with attacking a common enemy. The mission seen in this trailer is called "Eternal Liberation" and pits players against both ground and air targets. A second mission, set over a mountain range, shows the teams battling a heavy command cruiser. The team that causes the most damage to the enemy over the course of the mission will be crowned the winner. 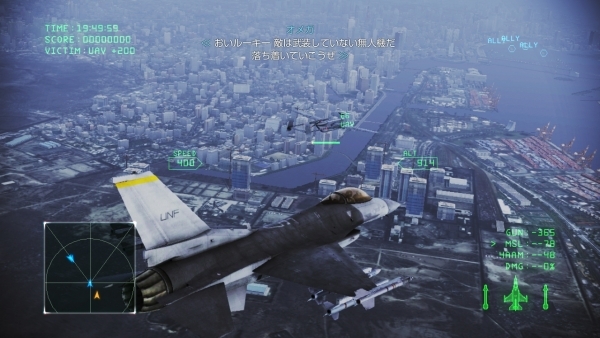 Players will have access to a range of aircraft. Fighter jets seen in this trailer include the F-16C Fighting Falcon, Su-32 Strike Flanker, and F-22A Raptor. 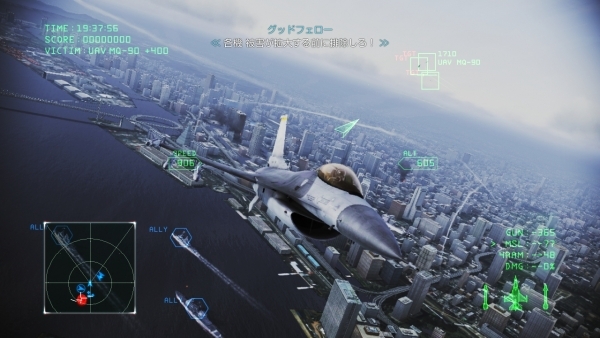 The player can specify their aircraft's weapon loadout as well as upgrades to armor, gun damage and other attributes. They'll also be able to customize the appearance to some extent. Presumably there are some microtransactions at work here, with players able to spend real-world money to unlock new options for their planes. 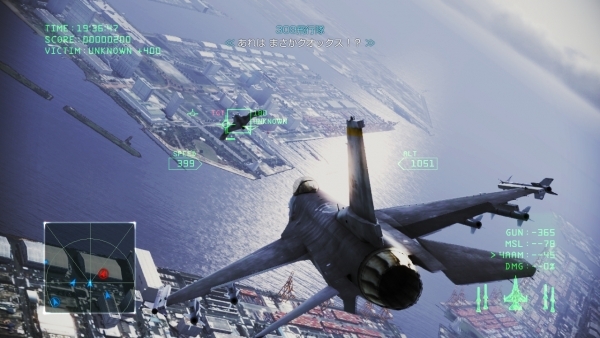 Air Combat Infinity will be available exclusively on the PS3. Namco Bandai is planning a 2013 release for the game but has yet to specify a release date.